In a small bowl, pour boiling water over sun-dried tomato halves to cover. Soak for 10 minutes, drain, and cool to room temperature. With scissors, snip into 1/4 inch pieces. Place all ingredients into the pan of the bread machine in the order recommended by the manufacturer. Select the Basic or White Bread cycle, and Start. 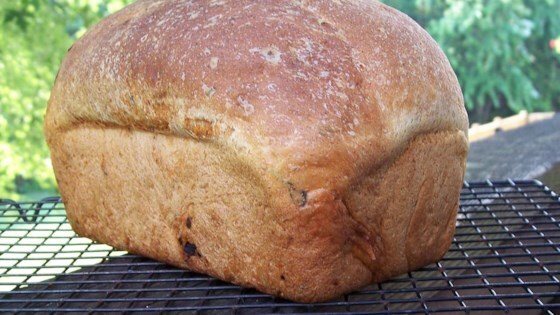 I tried this recipe twice and could not get the bread to rise. It sounded so good. What a bummer! I took a few bites and threw the rest away. I followed the recipe as written, I may have used the wrong setting on my breadmaker as it turned out heavy and dense.